We are an exciting and innovative event hire & styling business based locally in Aberdeen. 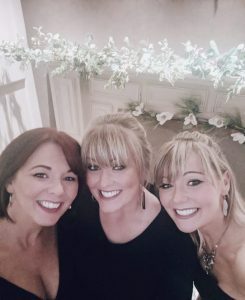 "We have a love for all things creative and we have a real passion for tranforming venues and weddings for your big day"
3 tiers are an affordable hire & style company supplying a wide range of displays & props that are unique & quirky! We offer a service of designing, delivering & setting up at a venue of your choice. We will work with you to inspire & create the displays that you want, at a price you can afford. We have designed a range of stunning centrepieces to suit different budgets. They are interchangeable and can be adapted to suit your individual style or theme. so whether you are having a small relaxed garden party or a large elaborate corporate event , we can create the wow factor to impress your guests and make your day memorable. Let us take care of your big day!